The September issues are out! The public got an unprecedented peek behind-the-scenes at American Vogue in RJ Cutler's documentary The September Issue, seeing all the creativity and hard thinking and nut-and-bolts logistics and just plain magic that goes into the creation of an indelible magazine cover. Fashion insiders have long known it takes a special kind of sorcery to make a cover that casts an enduring spell—and over the past many decades, Valentino looks have played a starring role on convers of Vogue editions from all over the world. Many of the great Vogue Italia covers have been shot by Steven Meisel, and it seems there's nothing that inspires Meisel's shape-shifting imagination more than a Valentino gown. 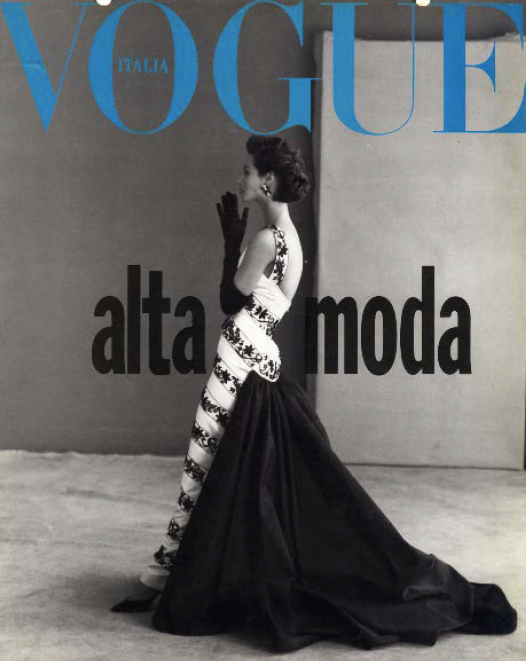 Witness, for instance, his 1991 cover for Vogue Italia featuring a black-and-white image of Christy Turlington in one of the newly-made up Valentino "Dream" gowns. Or check out his pictures of those other supers from the original trifecta, Linda and Naomi, each of them knowingly cocking a cigarette. 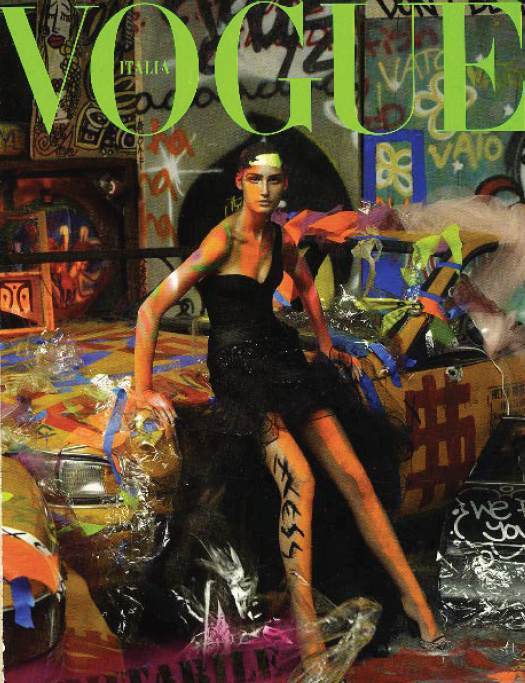 Other memorable Meisel-meets-Valentino cover shots include his upside-down Karen Elson, from 2000, his celebration of Valentino's Russia-inspired Haute Couture Fall/Winter 2002/2003, and his graffiti'd garage shot from 2005. 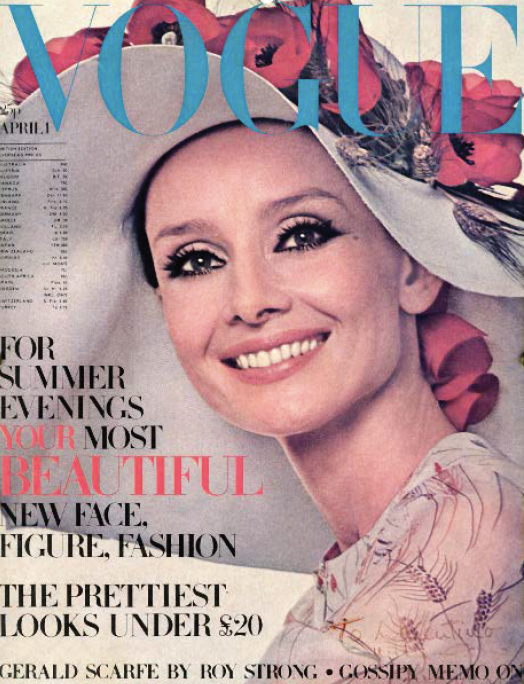 The various Vogue covers featuring Valentino have starred more than a few very famous faces. Audrey Hepburn, for one: She graced the cover of Vogue UK back in 1971. More than thirty years later, Valentino favorite Natalia Vodianova would appear on the cover of the same magazine, looking the very picture of laid-back ultra-chic in pink Valentino Ready-to-Wear from Spring/Summer 2004. 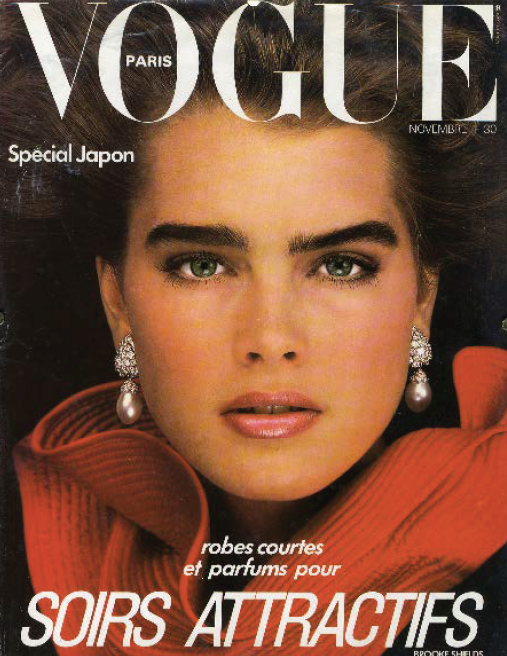 Brooke Shields wore Valentino on the cover of Vogue Paris in 1982; the same year, Vogue Italia featured Natassja Kinski, her face framed, like Brooke's, by a haute couture Valentino collar. On the other hand, one terrific Vogue Italiacover features no model at all, just a Mats Gustafson illustration of a look from Valentino Haute Couture Fall/Winter 1990/1991. Perhaps the most iconic Valentino appearance on a Vogue cover came in October, 1997. Vogue UK paid tribute to Princess Di by showcasing one of the loveliest photos of her, taken by Patrick Demarchelier. In the photograph, she's wearing a simple, halterneck Valentino gown in the signature red of the maison, and she's laughing. A cover for the ages.